While much of African American historical research and interpretation regarding the 19th and early 20th centuries “Back to Africa” movement has focused largely on the efforts of the American Colonization Society or the Pan-Africanism effort of Marcus Garvey in the 1920’s, few would recognize the earliest black sponsored and organized efforts to return African people of diaspora back to their ancestral lands originated in 1780 in Newport, Rhode Island. The American Colonization Society is history’s most prominent organization to support the return of free African Americans to what was considered greater freedom in Africa. The Society also helped to found the colony of Liberia in 1821–22 during the Presidency of James Monroe, whose capital, Monrovia, is named in his honor. But the white political and class elite of early America had less of an interest in returning Africans back to the place they were illicitly taken, but more as a means to reduce the real and perceived threat of the fast-growing population of free African Americans. In the minds of most whites during the early part of the 19th century, free African Americans would either compete for jobs with newly arriving immigrants in the cities of the North and or instill insurrection with the slaves on the plantations of the South. The conventional reasoning at the time supported the concept; by returning free African Americans back to Africa, America would remove the growing economic threat along with the moral guilt of former slaves. 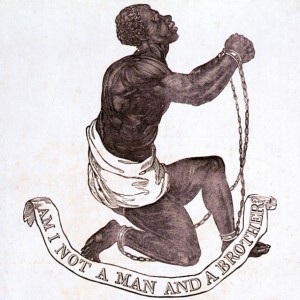 In 1780, in Newport, Rhode Island then one of America’s most active slave ports, a group of enslaved and free African men came together to organize and charter the Free African Union Society. As the first African mutual aid society in America, the Society’s lofty mission included monetary support for African families in financial need, a burial society to ensure proper interments, education of its youth, setting moral and religious standards for its members in the larger community and most importantly, raising consciousness and funds within the African community to someday return to Africa. The most significant difference between the back to Africa efforts of the black led African Union Society as compared to the white led American Colonization Society; African Americans believed their socioeconomic futures would best be realized with returning to their ancestral homes, while whites believed the socioeconomic future of America would best be realized with removing free Africans from the new and expanding nation. On January 4th, 1826 sailing on the brig Vine, Occramar Marycoo (aka Newport Gardner) and Salmar Nubia, two of the original founders of the African Union Society, and at the advanced ages of eighty and seventy, left Boston harbor with twenty-two additional Africans from Newport to establish a colony in Liberia. They arrived on February 6th to great welcome and fanfare, but much of the party succumb to fever and died within a year. Triumphantly, they had not died in a land where men were held as slaves. They died free in their own land. This entry was posted in Research and tagged Africa, church, religion, self-help by Keith Stokes. Bookmark the permalink. I really appreciate this blog tremendously. While growing up in Rhode Island in the 80s and 90s I wish I had known about this rich history behind my Black ancestors. But hey, its never too late to learn. When talking to Black people from other parts of the country, they know nothing about RI slavery, or New England in general so I’m glad to now be able to provide them with substantial facts.